Rockets become much more fun once you open the bag. 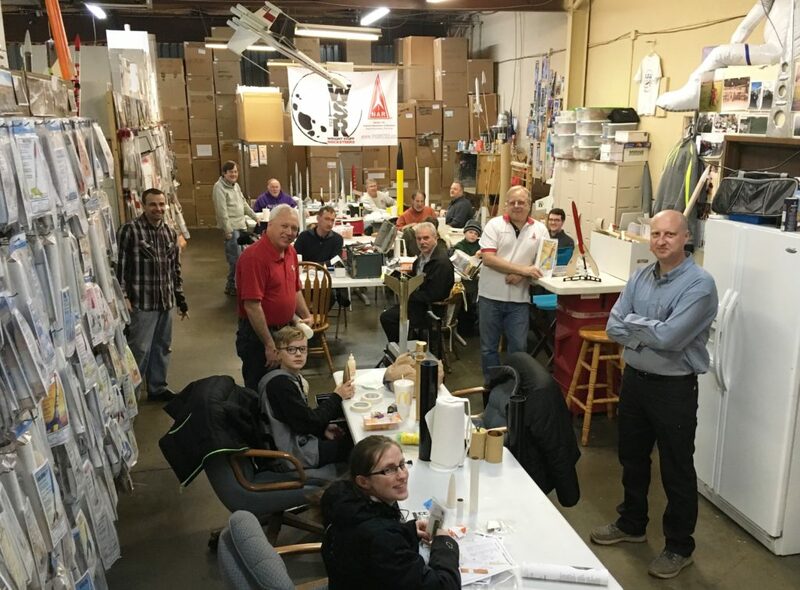 Join us every Tuesday night from 6 to 8:30 for Build Night at eRockets, 2790 Thunderhawk Court, in Dayton, Ohio. We have table space available, and you are literally surrounded by kits and parts from all the major manufacturers, including SEMROC! When you’re finished with your build, It’s just a 5-minute drive down the road to our low-power field to fly your rocket (conditions permitting). Best of all, you’re also within shouting distance of friendly, helpful club members. We can help you solve problems, demonstrate tips and techniques learned over many years of flying, or provide the extra set of hands you might need for your project. Bring your kit that needs built or your rocket that needs fixed (or buy one while you’re here), your box of tools and supplies, and leave your worries at the door.